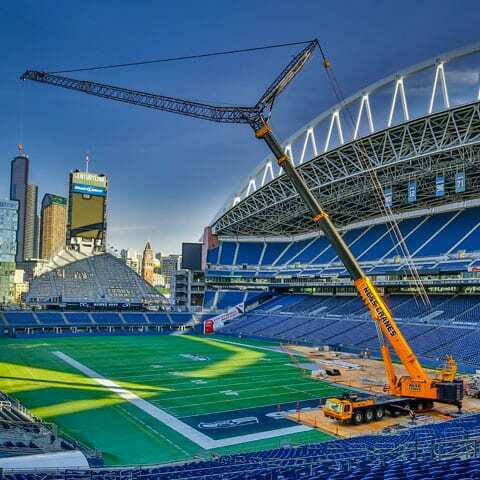 With over 70 years in the industry, NessCampbell Crane + Rigging has become the #1 crane service provider in the Pacific Northwest. Our expanding fleet of state-of-the-art cranes includes all terrain, hydraulic truck, rough terrain, boom trucks and crawler cranes. 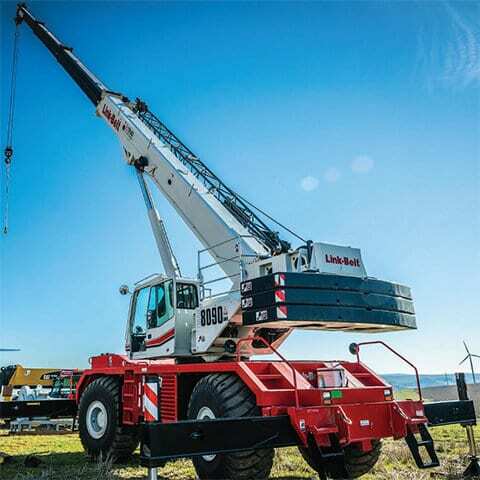 Our cranes range from our flagship LTM 1500 8.1 600-Ton Liebherr All Terrain Crane down to a 3-Ton Spyder Crane, giving our business partners every option to perform their specific task. All our equipment is meticulously and comprehensively maintained, certified, and inspected. And it’s run by the best, safest, most highly certified operators in the business. Our comprehensive resources make it possible for each division to offer project management, cranes, engineering, rigging and specialized transportation to integrate services across every phase of your project. That includes risk management, unparalleled safety programs, and experienced estimators and craft personnel. With 9 locations in Washington and Oregon, we serve all the Northwest’s commercial and industrial markets. We are progressive in every facet of our business. We are committed to working assertively, every day, to meet and exceed our customers’ needs. 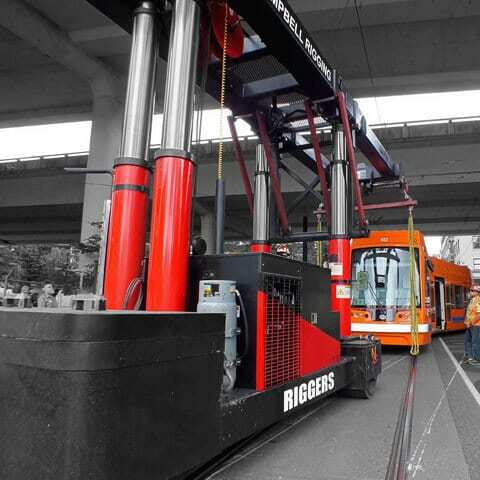 That commitment has made us the #1 crane service provider in the Pacific Northwest—and our customers’ first choice. 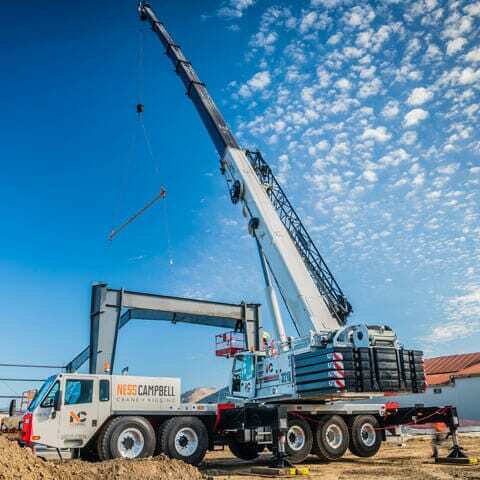 NessCampbell Crane + Rigging has the equipment and personnel to do all your heavy machinery moving, rigging, erection, and assembly—one call does it all. We’ve served high-tech, medical, solar, freight forwarding industries and many more. Our rigging services work hand-in-hand with our crane experts, so there are fewer scheduling conflicts, better coordination, and more reliable outcomes. Our highly trained staff provides the innovations and technical support it takes to get the work done safely, efficiently, and on time, while managing risk. Our State-of-the-art fleet can handle just about anything. We’ve done industrial equipment moves and turnkey plant relocations. We’ve done disassembly, removal, transportation, installation and reassembly of manufacturing equipment. We offer trans-load facilities for rail-to-trucking operations and indoor and outdoor storage. 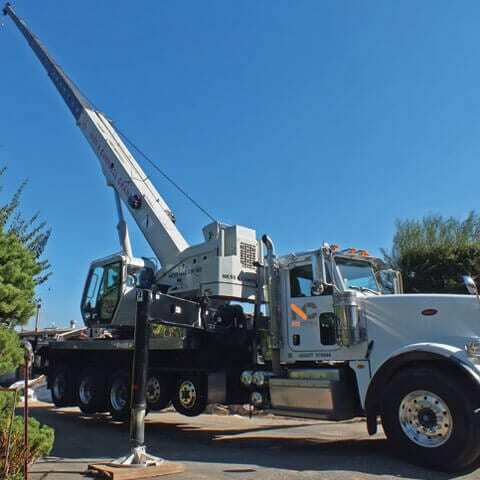 We move all necessary support machinery, including industrial crane service and specialized transportation with complete coordination from start to finish. We partner with general, mechanical, and electrical contractors to move chillers, boilers, transformers and switchgear during construction projects. 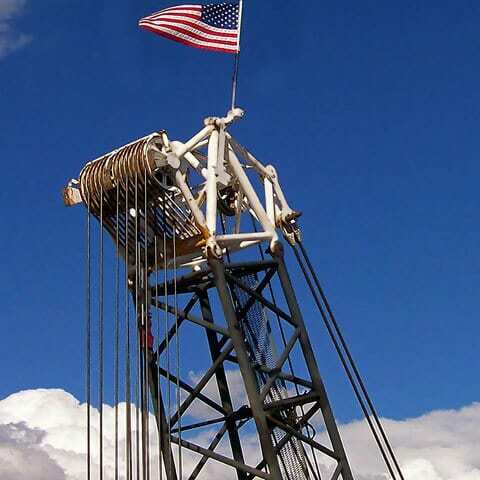 Our innovative slide gear systems move transformers, ships and other big machinery that can’t be transported conventionally. We also have precision equipment to move delicate MRI machines and racing vehicles without a ding. Finally, if we don’t have the equipment to make your move, or existing technologies don’t meet your needs, we’ll design and build a system that will get the job done right. Specialized hauling equipment with capacities up to 160 tons. NessCampbell Crane + Rigging hires the highest quality, most experienced engineers in the industry. 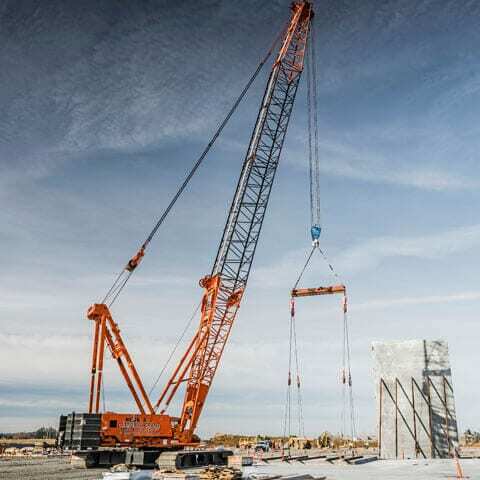 They know that planning and engineering are the critical foundation for successful execution, and have the training and experience to provide certified engineered lift plans in both Washington and Oregon, no matter the size or type of project. Our on-staff engineers and draftsman utilize the most up-to-date 3D software, which helps them to collaborate closely with estimators and customers while planning the project from start to finish. Each customer’s specific requirements are imported into the design software so that details can be defined and analyzed, from crane location, clearance issues, detailed rigging designs, outrigger loadings, and support surface analysis to crane mat design. This attention to every phase of rigging and lifting differentiates us from the competition and ensures that each project will be executed as planned.